I love rice. Rice is LIFE. But when there’s stuff inside and you have to pick it out or you accidentally bite in to cardamom that was hidden under all the fluffy grains, it is not pleasant. 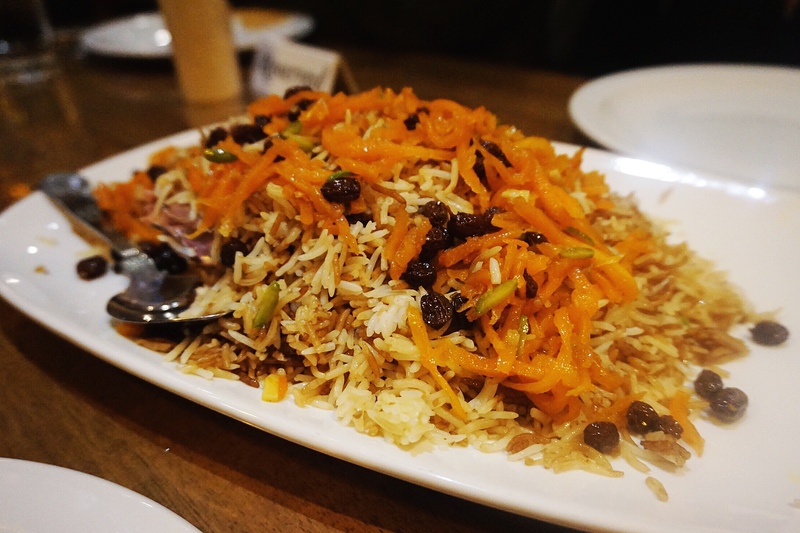 So when I went to my friend Nadia’s house and her mum cooked her special Afghan rice (known as Qabouli Palouw) with a tonne of raisins inside and carrots and nuts… I gulped and thought, “oh great… it’s going to take me forever to pick all of this out”. So I sat there, patiently trying to get a spoon of JUST rice and at the same time not try to let her notice what I was doing. And then … it happened. I got a raisin AND a carrot in my mouth by accident. And that, ladies and gentleman… is when my life changed forever! This rice with raisins and carrots was actually AMAZING and is now one of my favourite rice dishes ever! Having had that epic meal at Nadia’s house, I was on a hunt for a great Afghan restaurant in London… and I found one! It’s called Bukhara. This is the best dish on the menu and it’s what Nadia’s mum made! 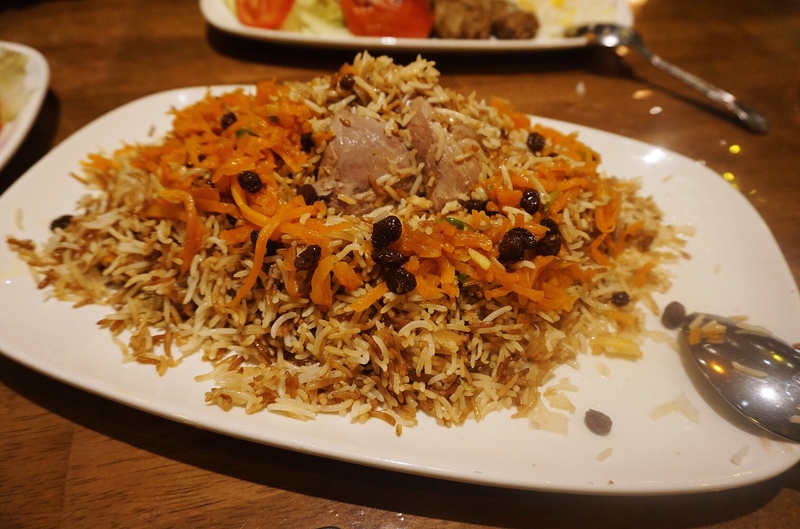 It consists of fluffy rice with raisins, carrots and the softest, dreamiest lamb shank! The fat just melts in your mouth and it’s absolutely delicious. The portion size is big so you can definitely share this! My second favourite dish at Bukarah! The chicken is packed with flavour and is super juicy. The accompanying saffron rice is great but would be made better if it was slightly more buttery. A classic at any Afghan/ Persian place! 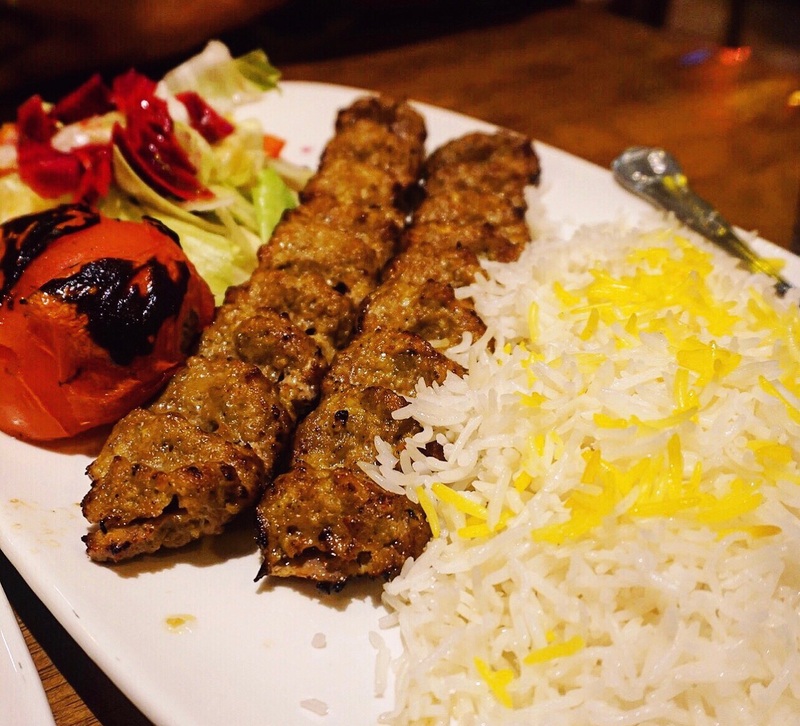 You can’t go wrong with kubedeh and it’s one of the best I’ve had! 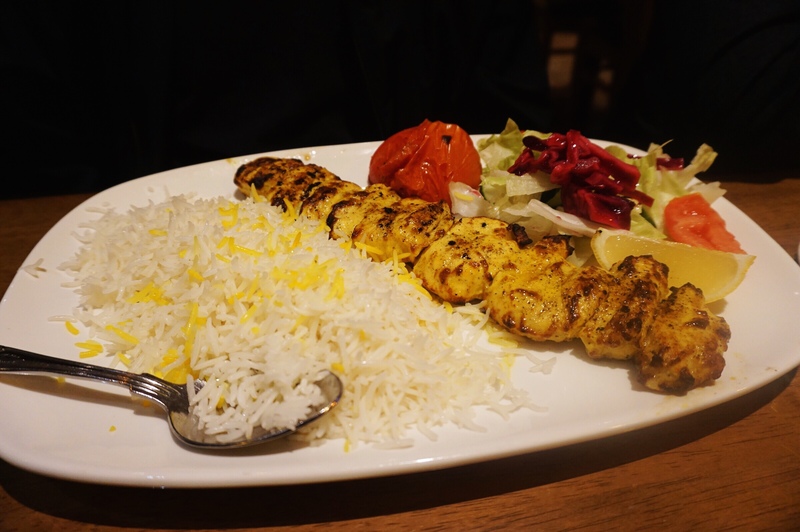 It was also served with their fluffy saffron rice! Finally, it was time for dessert… which I can’t find the picture for (sorry guys)! We have previously loved Persian ice cream at other restaurants however this particular one let me down. The texture of it was more icy than creamy and we didn’t really enjoy it. They have another dessert which is a Persian Sweet made with milk, egg, butter, cinnamon and semolina. Next time I think I’ll give this one a try! Overall, the bill amounted to around £10 per person including drinks and dessert which is great considering the portion size and quality of food. Aside from dessert everything was delicious and I can’t wait to go back! There are two branches – Mile End & Goodmayes. The Goodmayes branch is the one I visited and has been renamed as Bukhara. The menus are exactly the same!